Well, this was kind of another uneventful week. Though there was some excitement yesterday with some Cinco de Mayo festivities. Our favorite restaurant had their first every parade and big celebration in their new location, so it was a fun day, if a little hot. And then of course I scrapped up my leg as you might have seen me moaning on twitter! Lol! There was also the annual book fair this weekend, I went there yesterday and was kind of disappointed. I felt like last year there was more Young Adult books and Fantasy reads. 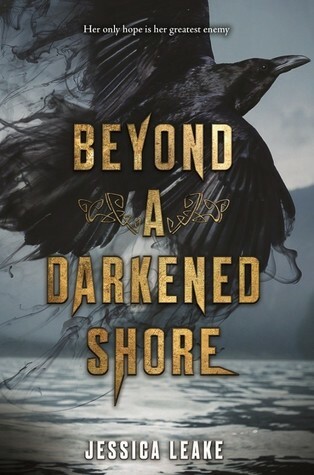 Their Young Adult selection was severely lacking and there was more Sci-Fi than Fantasy reads or that sort of wonderful combination that gets you Paranormal reads! Oh well, I guess it's a win in the end? I don't spend anything and I don't add to Mount TBR which seems to just grow instead of shrink! Lol! 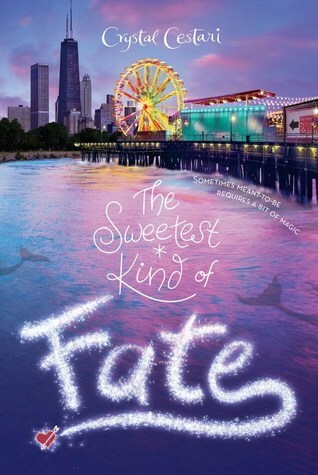 The Sweetest Kind of Fate by Crystal Cestari--apparently I never bought my keeper copy back in February! Whoops! 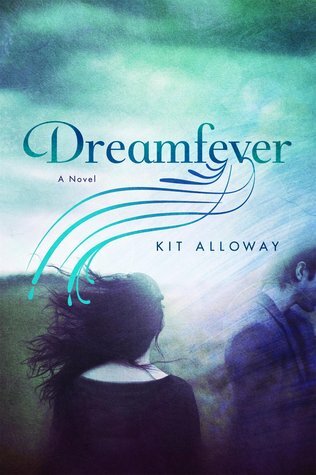 Dreamfever by Kit Alloway--after picking up the third book from Book Outlet as I was reorganizing my TBR books I realized I didn't have book 2 in the trilogy! Another whoops! 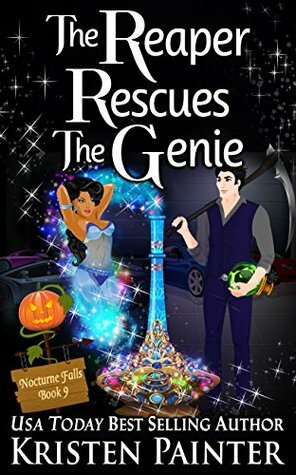 The Reaper Rescues the Genie by Kristen Painter--I'm almost caught up in the series!! I think I just have 1 more book before this one! 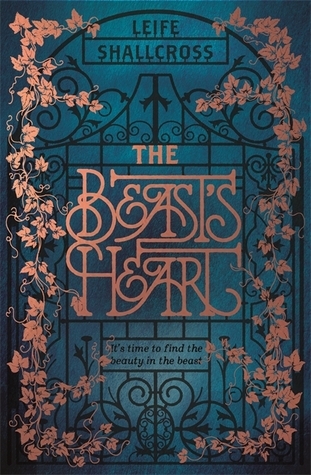 The Beast's Heart by Leife Shallcross--I bought the hardcover version and it's just gorgeous! And then my signed copy of ACOFAS came in!! Along with the pin!! 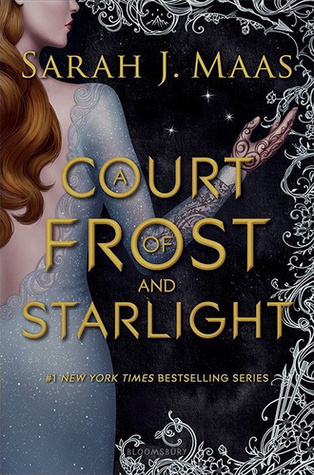 A Court of Frost and Starlight by Sarah J. Maas--SIGNED! My preorder swag for Scoruged! I still need to read a few more before this one! I think I got halted around the time of when the series went into hardcover! Lol. Always behind! A postcard from Lisa Maxwell for The Devil's Thief! *about the bandage on my hand, when soap and water won't clean off a Sharpie X on your hand and you use a Mr. Clean Eraser because someone said that'll do the trick...don't listen. Or at least don't scrub it, just brush it? Because yeah, I apparently took off some skin or something, enough that it burns! Slathered on some Neosporin and then found this gauze pad in the medicine cabinet. As I write this on Saturday night, I haven't taken it off yet. So hopefully it will be better by "this" morning! And that was my haul this week! What did you all get? oh they're almost all new to me! I need to try the Hearne series. happy reading! I absolutely love the cover for Beast's Heart. It is so beautiful!! Your poor hand and your leg! I bought too many books at the book fair yesterday. I like so many different kinds of books that I can always find something I want. Have fun at the Fierce Reads event on Friday. Unfortunately, I have to make and decorate a bunch of cupcakes for my niece and nephew's birthday party that night. I hope to make it to some events soon. The Beast's Heart is gorgeous. Sorry the book fair was lacking. Hope the week ahead is a good one. You got some great goodies!!! Yay ACOFAS! And I adore the pin! My signed copy got here too this week and it is so so pretty. Also The Beasts Heart sounds soooo incredibly. Happy reading! Congratulations on your book win! Winning stuff is the best. That pin for ACOFAS is awesome! Oh, you'll have to let me know how The Beast's Heart is! I've seen mixed reviews, but it's so gorgeous! Enjoy your new books, and that's some awesome swag! And yikes, Mr. Clean Eraser is abrasive which is how it's so good at scrubbing off marks from walls and such...but it'll do a number on skin! Hope your hand feels better soon! Ouch, hope your hand is better! I love the look of Sweetest Kind of Fate. Oh I love that TDT postcard! Lisa Maxwell has some really amazing book covers. 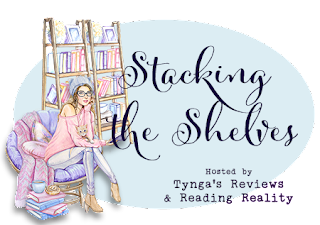 I hope you enjoy all of tpyr new books and goodies! I want to continue reading Kevin Hearne series, I´ve read Hounded and Hexed. How did you get your pin so quickly? !